Walt Disney World - The PERFECT Vacation Starts HERE! 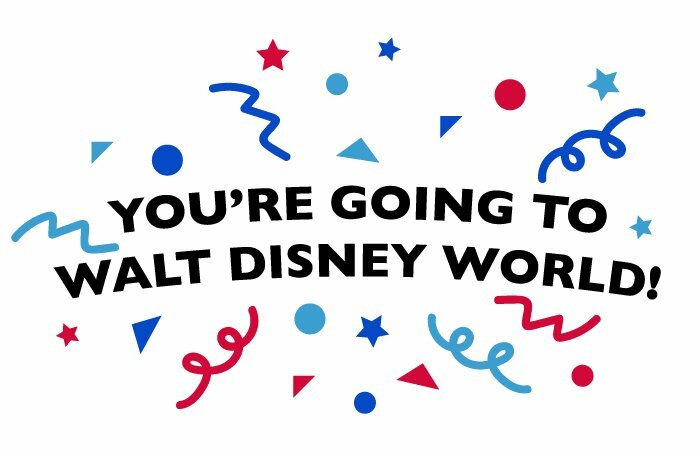 "I'M GOING TO WALT DISNEY WORLD!!!!" YES! It's time to celebrate! You are going to a better place. This is going to be Fun! Have you started planning your trip? How's that going? Are you feeling a little stressed? When do I make hotel/airplane/FastPass (whatever that is) /dining/and on and on... reservations? Hi, my name is Carl Trent, but around here I'm kinda known as Dad. I'm here to help. I love Disney World. It's my favorite place anywhere. My whole life I've had an obsession with Walt Disney and especially the Theme Parks. When I was small, my Grandma would take me to Disneyland. I fell in love with it. It didn't even matter that my sister made me sick on the Teacups, I loved Disneyland. That Disney love continues to this day. When it comes to a Disney World vacation, I've been there, done that and made all the mistakes. My goal in life is to help people like you with planning YOUR Disney World vacation. In the immortal words of Billy Swan, "if you've got a problem, don't care what it is, if you need a hand, I can assure you of this, I can help." I can help you with plan YOUR vacation. I can help you make YOUR memories. And I can help show you how to do it YOUR way. YOUR vacation is all about YOUR memories. Creating memories is what going to Walt Disney World is all about. From the time you shout I'm going to Walt Disney World, until the day you stop crying after you get home from your trip, it's YOUR vacation. You are going to create some wonderful memories. So you're probably saying "that all sounds nice and flowery Dad, but how on earth am I supposed to sort through all the noise and plan my vacation? How do I do this my way?" I think you just asked the Perfect question. I believe planning a WDW Vacation is Simple, it's Fun and it's definitely Magic. Let me explain. Yes, it sounds pretty overwhelming and a lot of websites try to make going to WDW like rocket science. It's not. Your Vacation can be Simple. YOU are going to have Fun and your Memories will be Magic! With Dad's help you will have a Simple, Fun, Magic Walt Disney World Vacation. I started DadsGuidetoWDW.com back in 2008 to help people get ready for a Walt Disney World vacation. That's still my mission today. In Dad's Guide, I cover everything from where to eat to what the crowds will be like every day of the year. I have pages for every park, every hotel, almost every ride, most of the restaurants, and lots more. If you need to know it I've probably talked about it. If there's something you want to know and you don't see it, you can always just Ask Dad. There is always something happening at Disney World. I work day and night (OK, not so much night) to keep up and bring you the latest news. I do that through Social Media and our Newsletter. I have some of the best Social Media on the planet. There's always a new picture, story or something to keep up with. Be sure to subscribe to all of Dad's channels. You can follow Dad on Facebook, Twitter, Pinterest, Youtube and even Instagram. Live and in color! Go ahead. Check out Dad's Social Media. Speaking of subscribing... Every Friday, I put out a short newsletter with updates from the week. It's a Simple newsletter that's Fun and is always sprinkled with Magic! I like to end every page with just a little bit of advice, a tip, or a funny story. I call it the Bottom Line. So here's the Bottom Line for our homepage. I am driven to help people have Perfect Walt Disney World vacations. I truly want to help make your visit Simple. I want to make it Fun. And I want you to have a Magical time. Lets get started on Your Vacation. Your Memories. Your Way!